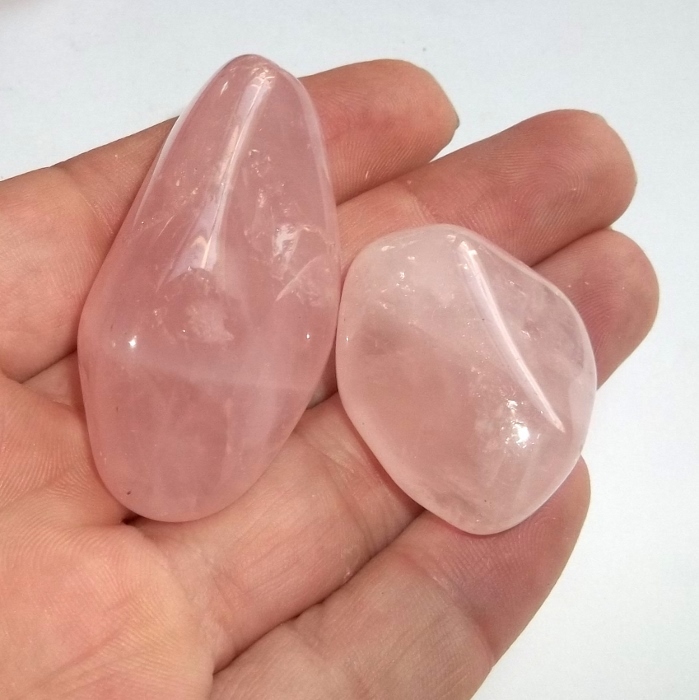 A polished rose quartz gemstone for your earthegy energy rock collection. 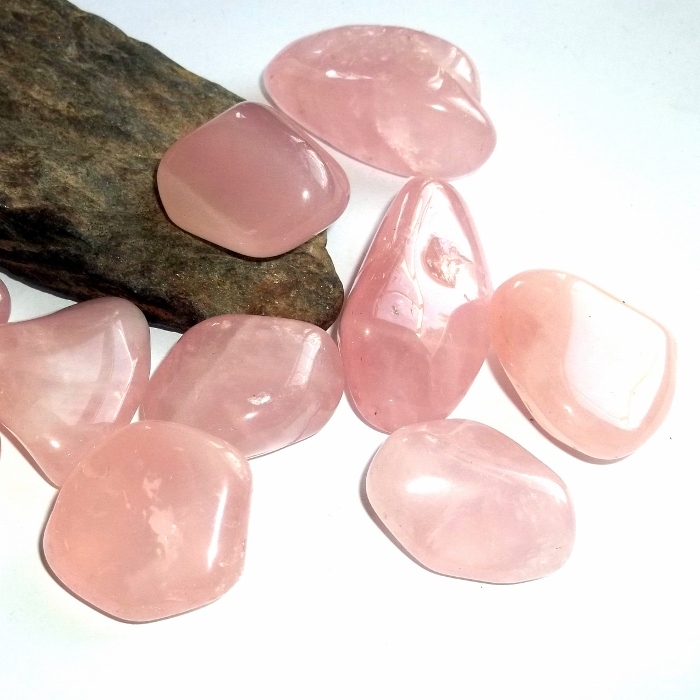 Rose quartz is a heart chakra stone and October birthstone. 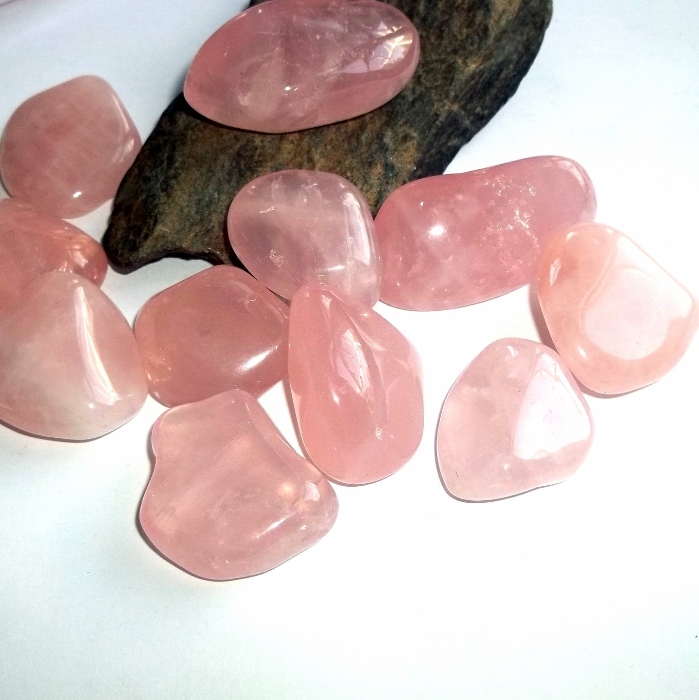 Pink rose quartz is the ultimate gemstone for attracting love and harmonizing the relationships you already have. 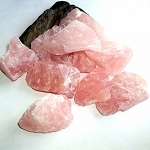 Rose quartz is a gemstone of unconditional love, and associated with all things romantic, pure, and beautiful. Rose quartz stones vary in size but average around 1 inch to 2 inches. Price is per stone. This rose quartz was mined in Namibia.